Location: Micro-hydro plants on Upolu Island. Due to the damages caused by floods during Cyclone Evans in 2012 the Government of Samoa carried out “The renewable energy development and power sector rehabilitation project” which was about the rehabilitation of the Alaoa (1.05-MW), Fale Ole Fe’e (1.9-MW) and Loto Samanasoni (1.05-MW) power plants. The program is also supporting the development, construction and commissioning of plants on Upolu that include: 460-kW Fausaga-Tafitoala and 700-kW Fuluasou; and the 160-kW Faleata plant on Savai’i. 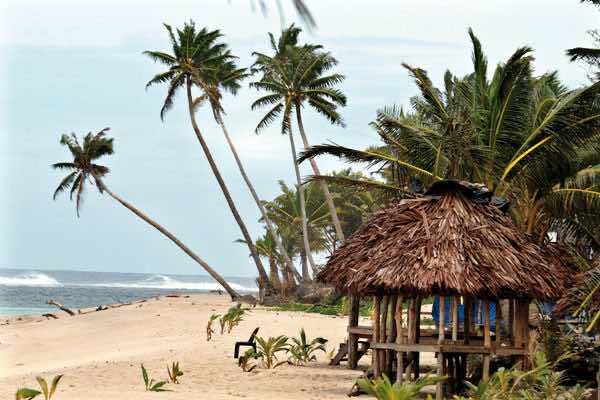 Although Savai’i is the larger of the two islands, most of the nation’s population lives on Upolu. The total cost of the project was US$9.3million (T$23.5 million) which was funded by Asia Development Bank (A.D.B. ), Multi Donors of the Green Energy Fund, European Union, Government of N.Z. with an additional $4.8 million contributed by Samoa. Situated in the South Pacific Ocean Samoa comprises two main islands of Savai’l and Upolu, with two isolated outer islands. Photo courtesy of Asian Development Bank . 6.2kW 24 VDC float Charger. 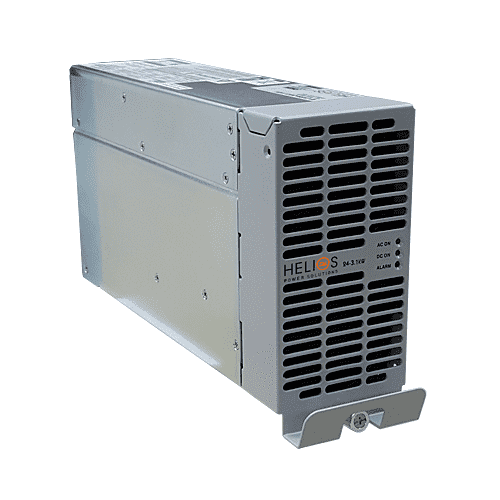 Two 3.1kW 24VDC Hot Swappable – Fan Cooled Rectifiers. Two Single Phase 230VAC mains inputs. 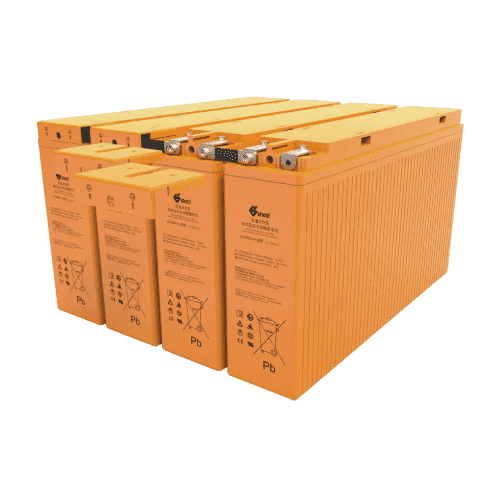 Two 6-FMXH Series – Front Terminal High Temperature Battery (35 ºC) . 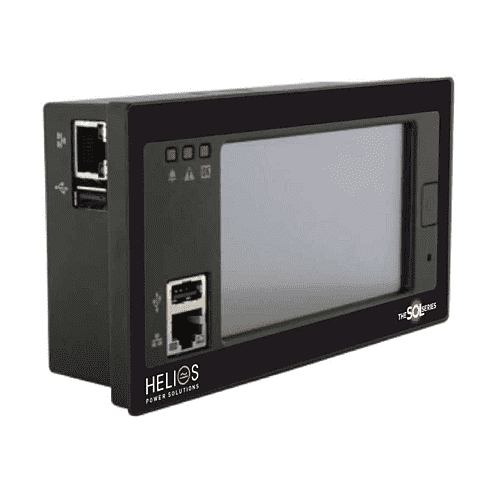 Comms Ports – Controller: RJ45 , Ethernet Port , CAN and USB. Our direct customer, who is a NZ company specialising in Hydro Plants, had the challenge to provide electrical equipment support to The Renewable Energy Development and Power Sector Rehabilitation Project in Samoa. 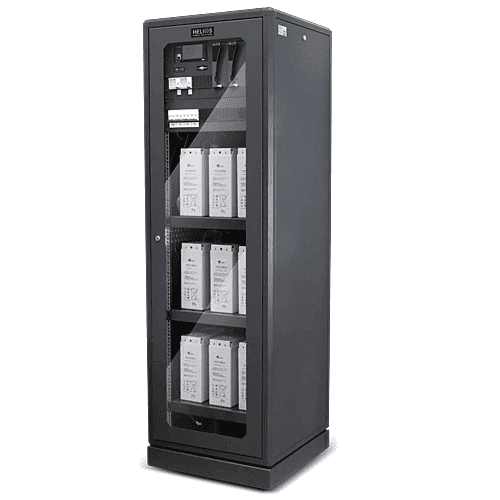 We supplied through them a battery charging system of 27,60VDC float voltage. The 27.60VDC produced by The Sol Series battery charger will be used for charging the back up batteries and both the control (charge controller, speed regulator , instrumentation ) and protection systems (switching breakers) within the powerhouse but will be primarily used to power oil pumps that apply lubricant to the journal bearings that are utilized in these types of turbines. So that in the event of a complete loss of power and during an emergency shutdown the oil pressure to the white metal bearings can be maintained until the turbine comes to rest. According to the insurance industry, 40% of operational, economic losses of hydropower plants are the result of bearing failures. Also, due to the instability in the electrical grid, the amount of start-up and shutdown of a Micro Hydro System may increase the wear and tear in machines. That is why it is critical to have a reliable, high quality and rugged back up system as The Sol Series which is specially designed to cope those harsh environments.